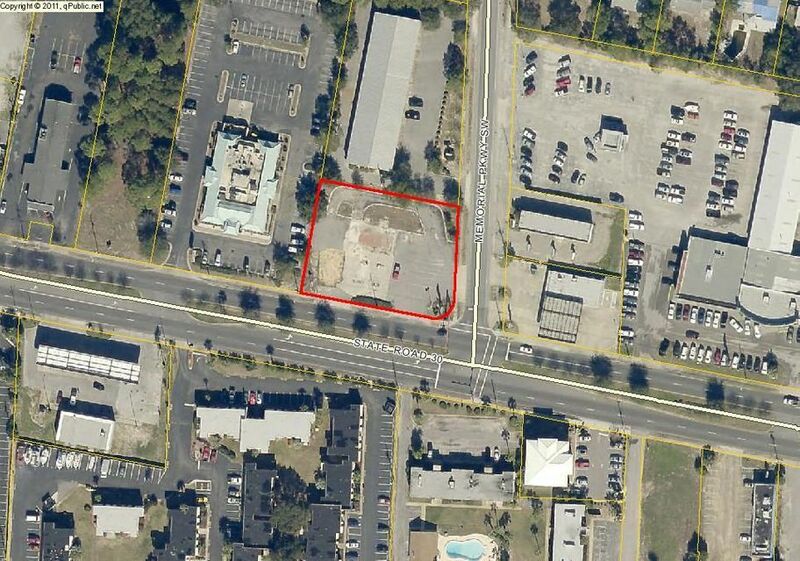 This vacant lot of 0.66 acres is centrally positioned in Fort Walton Beach, FL. The property is located at the hard corner of Miracle Strip Parkway (Hwy 98) that is the major thoroughfare in Florida Panhandle and Memorial Parkway. The traffic count during tourist season is around 45,000 VPD. Frontage on Hwy 98 is 175 ft. Survey, geotechnical report, and proposed plan for approximately 8500 sqft retail center are available upon request.